Those who read my articles know that I criticize US health care, though I have proposed solutions. Most of my criticism is because it is way too expensive and below average in terms of efficiency. My criticism is not aimed at health insurance or Obamacare, though their implementation does not help with fixing the root cause. They also know that I no longer use official healthcare, except on rare occasions and when it is cost effective. Saturday was the last straw for me. I visited a doctor for an eye infection (my first visit to a doctor in 8 years) as I was worried it could turn into something nasty (with vision loss) in a matter of hours as it happened once in the past. We both agreed that antibiotics - the same kind I occasionally use for my rosacea - was a good course of action. He did prescribe standard antibiotics, et voila! Problem solved. Except that... you must decide on and pick up your medicine at a specific location. And that location is solidly closed for 48 hours. I imagine this problem has been experienced by million of Americans, maybe even in other countries: the impossibility, no matter how much you pay, to get a basic medicine when you need it. I thought, maybe I should go to the ER - but it would cost $5,000 for this basic $50 treatment, and might also fail. I could wait it out, and sue the store if things go bad. Instead I decided to use some old antibiotics. I wish I could call the doctor's office and ask for a refund (plus $500 as I wasted 1.5 hour at the doctor's office to eventually see him and get a useless prescription). Proposed solution: Create a website where people can exchange drugs. You want to make sure the drugs are not outdated and there's a clear label on each box. Fraud detection - to make sure drug cartels are not reselling illegal products - would be a critical part of the architecture. Also, drugs that can be abused by drug addicts would not be available for distribution. Only basic drugs that require a prescription. I would also allow drugs to be either "official" or home-made (for instance, I am going to manufacture my own antibiotics, though it will be on-demand and for personal use only), as long as the buyer clearly knows what he is buying. The website, very different from an online pharmacy (probably more similar to eBay or to exchange sites selling for instance breast milk), would be available to all people with a minimum knowledge of medical science. There would be a small questionnaire on sign-up to be approved, to further minimize liabilities. Individual people would be responsible for shipping the drugs. And possibly, this website would be hosted abroad, though mostly used by Americans. Money for maintaining the website would not come from sales commissions - possibly from advertising or subscription. Another benefit for participants is greater privacy, as no medical data is shared with insurance companies. Medicines is a very regulated market due to obvious health and safety issues. Some drugs require strict storage conditions. Then, it might not be so easy to spot counterfeit. My crowd sourcing solution would also help improve water quality - the water that we drink, the water that the animals that we eat also drink. Tons of unused medicines are thrown in the sink, garbage bin or sewer (contaminated urine) every day, and end up polluting the environment, also costing money in water treatment. Probably all of us get trace amounts of pain killers and more nasty things every day through tapped water. It is more a regulation than a supply chain problem - though regulation issues should be factored in in supply chain optimization. Maybe also some pharmacies operate 24/7, you just need to know them. 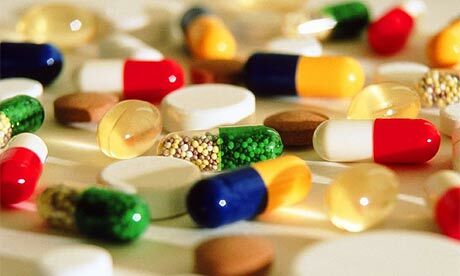 Antibiotics are regulated probably because of the risk associated with antibiotic-resistant drugs. There is a big issue about drug unavailability - but it's not the problem that you mention.